Love stories are hard to tell. Oh sure, I can point to an endless number of works of literature, film, and song that suggest otherwise, but for the most part they’re either complete garbage or don’t tell the whole story. Or perhaps they attempt to tell the whole story but they’re just way too broad, so they skip over a lot of the details. 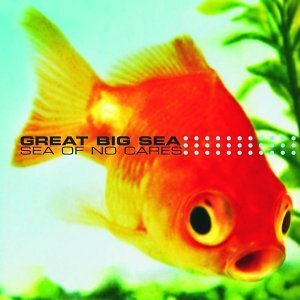 Great Big Sea is a band I stumbled upon in the summer of 1999 when Amanda and I were house-sitting for a friend. While we spent a good amount of time exploring the greater Arlington/Alexandria area and seeing every movie that was in theaters at the time, I spent much of my days hanging out while she went to the internship she’d started after graduation. Most of that time, I was working on a novel and the various 1980s mixes in my car were wearing thin, so I went diving into her friend’s CD collection and found Rant and Roar. I’d heard of the band because I’d seen a video or two on MuchMusic, but wasn’t that familiar with them. They didn’t need to do much to make me a fan, to be honest. The band was from Newfoundland, which is where my grandmother hailed from, and they had a boisterous sound that was what I was looking for after spending most of the last four years trapped in my roommates’ Grateful Dead/Phish/Jimmy Buffett death spiral. A year or so later, they played the Birchmere is Alexandria to support Turn. It was a great gig and I knew I wanted to see them again, so when my sister heard that they were playing the Maritime Festival in West Sayville on July 13, 2001, I was on the phone the minute tickets went on sale. I mean, when you come from a town that’s as obscure as mine, you definitely jump at the chance to see one of your favorite bands play there. Almost immediately, I found myself struck by the lyrics, as if they were some sort of revelation. Or, at least, I flashed back to an earlier point in our relationship where those first few lyrics rang true.